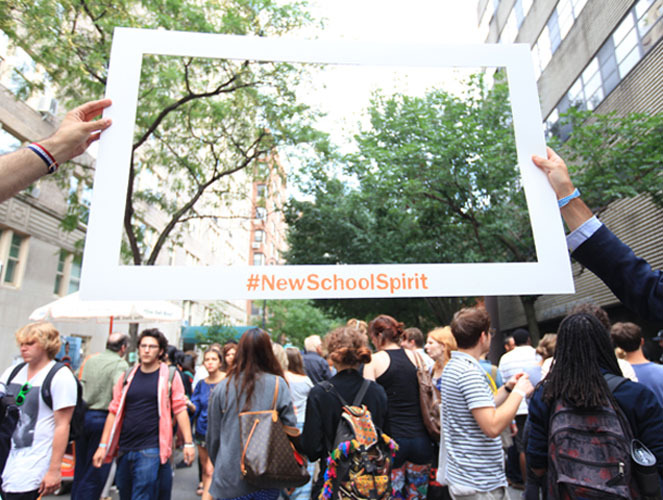 Things got a little gnarly at the 17th annual New School Block Party, which kicks off the academic year. 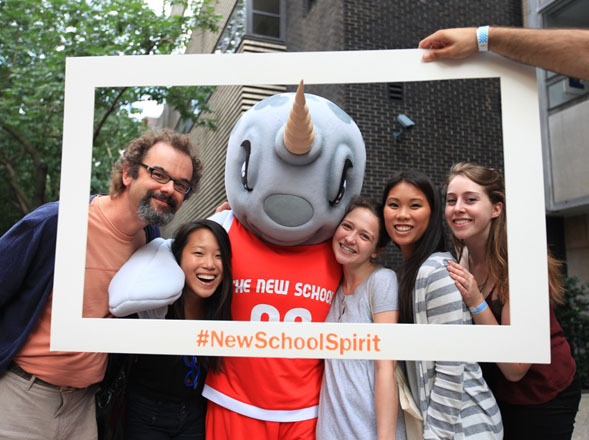 Gnarly as in Gnarls the Narwhal, our New School mascot who made his big debut during the event, held on Thursday, August 29. Gnarls barely got out of Johnson/Kaplan Hall at 66 West 12th building before being mobbed by fans that wanted to have their picture taken with him. Look out for him throughout the year at a number of events and activities, including of course our basketball team. The start-of-year celebrations aren’t limited to 12th Street. In September, Parsons Paris welcomes its first class of students. Meanwhile, in Mumbai, Parsons’ partnership with the Indian School of Design and Innovation will bring Parsons curricula to students in the world’s largest democracy. And no matter where in the world you are, you can drop in on The New School by connecting with us on social media, or viewing events on our Livestream page. Come to think of it, there’s nothing gnarly about that at all.